Wear this Black Bomber Jacket with the Jordan 11 Cap and Gown, Off-white Nike Blazer Grim Reaper, Court Purple 1s, Pine Green 1s. Bomber Jacket Black. 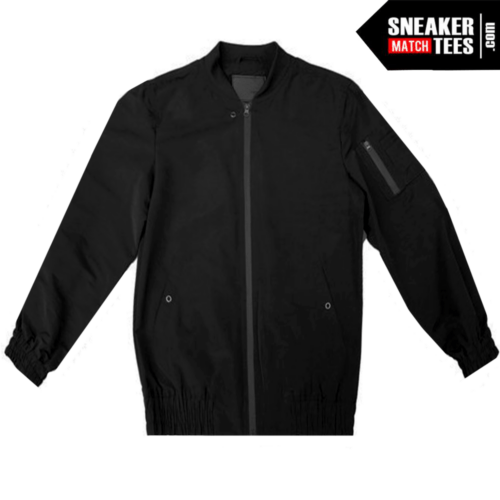 Streetwear Light Weight Bomber Jacket for men. Sneaker Match Suggestion: Off-white Nike Blazer Grim Reaper, Cap and Gown 11s, Yeezy Boost 350 V2 Bred, Court Purple 1s, Pine Green 1s, Black Cement 3s.